Enter your party name, location and time. Customize the look of the page in the 'Menu - Change appearance ...' dialog. 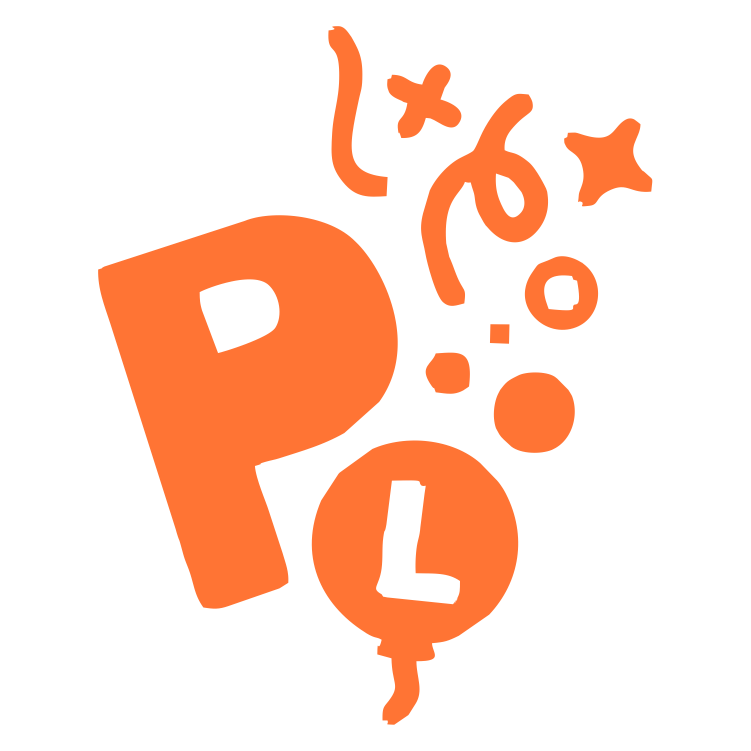 Note, you can also add up to 10 tabs with text content, sign up list for potluck, polls, photo gallery and more. 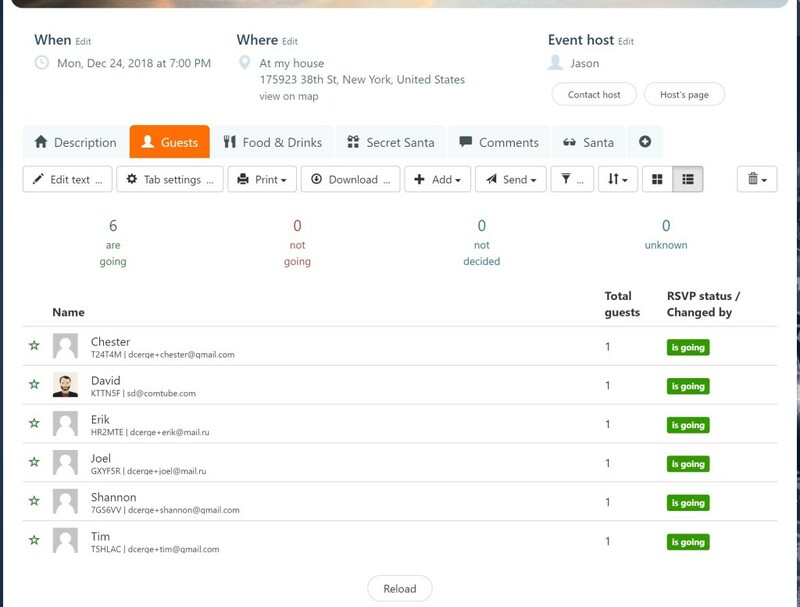 Add guests, send email invitations and wait until they RSVP. 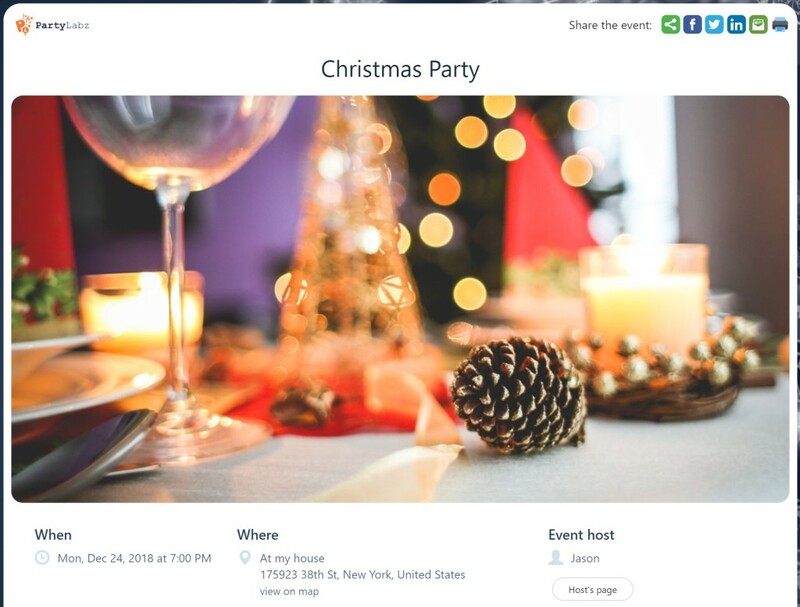 Second, you can share event website public URL anywhere you like (facebook, twitter, paper invitations, etc.) so your guests can register themselves. Do not forget to ask your guests to RSVP by some specific date several weeks before your party to have enough time for Secret Santa. 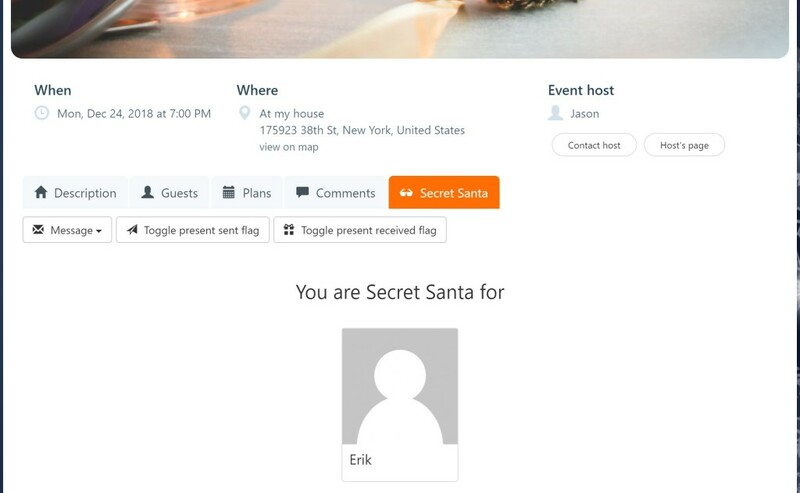 To play the game, you need to add a tab with the 'Secret Santa' function. It has all the functionality for the game. Click on the 'Activate' button. Each guest will receive an email that contains the information about the person for who he buys a gift. 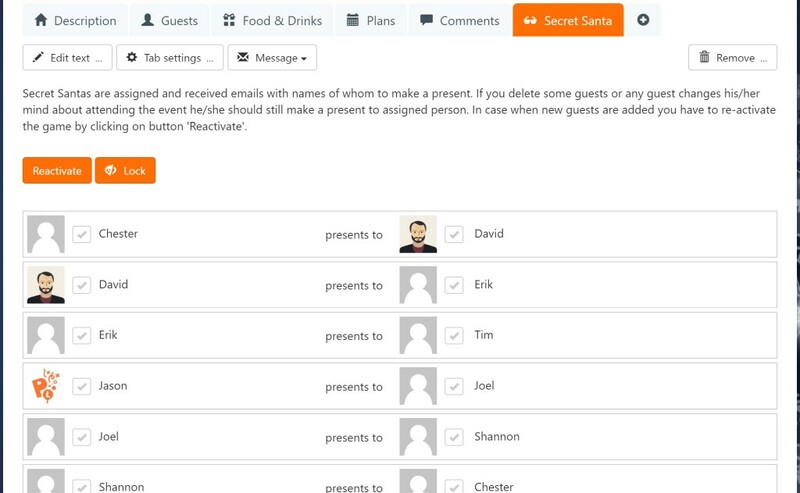 When the Secret Santa is activated the host can see the list of guests divided into pairs: the guest on the left is a Secret Santa for the guest on the right. 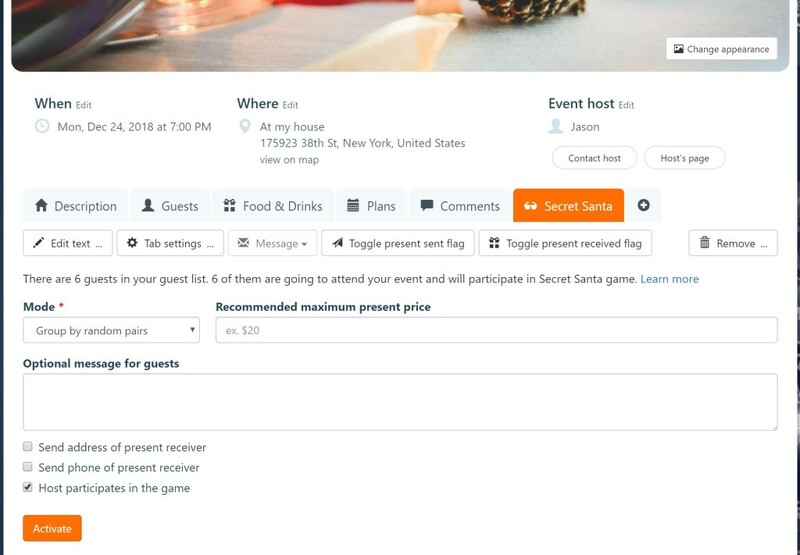 Also, the host can toggle flags that the present has been sent or received for each guest. set the flag that he has sent or received a present.